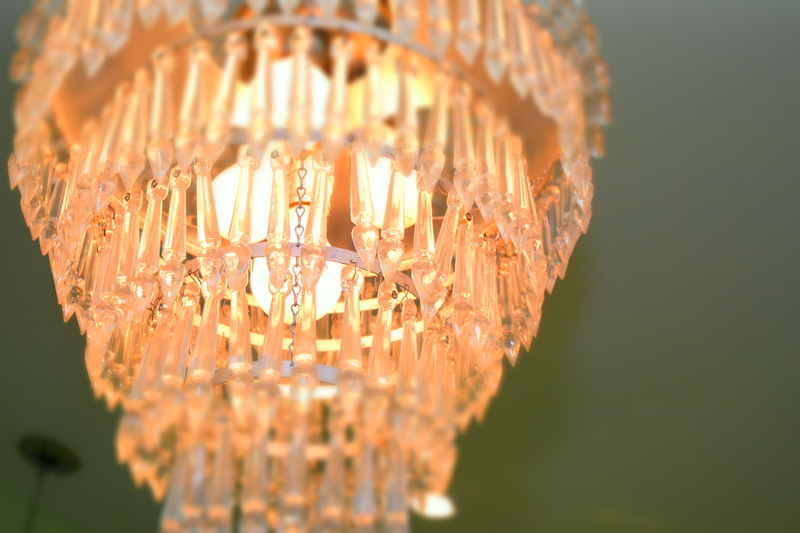 I love ceilings and chandeliers. 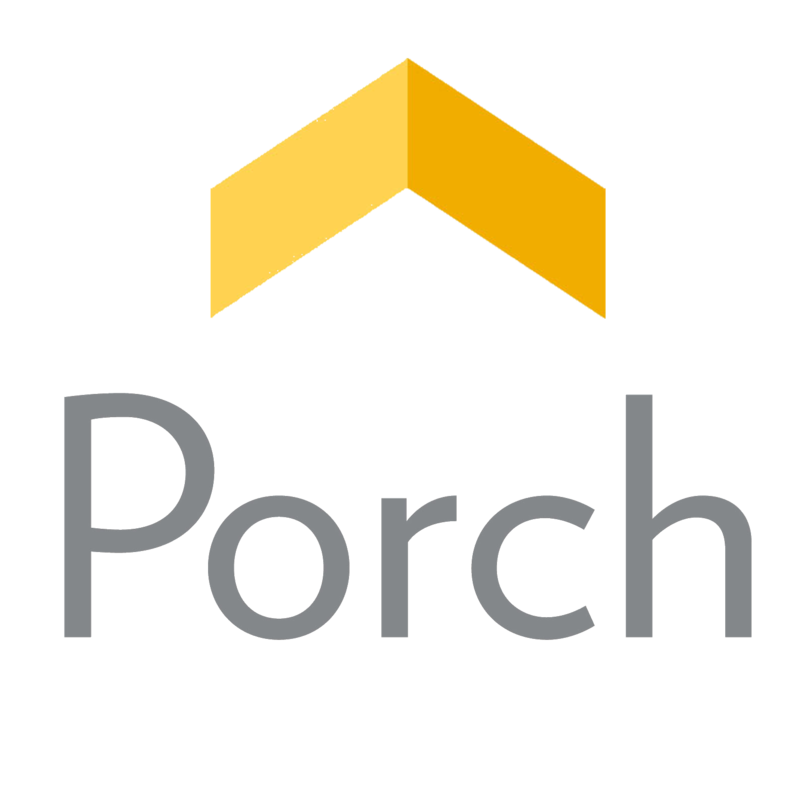 Someone once asked me if my parents had some sort of fancy mobile above my crib when I was little, causing my fascination with “looking up.” Completely intrigued, I asked my mom, who said, “Nope!” So the fascination remains a mystery. I love the “fifth wall,” and I really like when ceilings aren’t white. I’m not sure why that is, but it’s true. anything you see looking up! 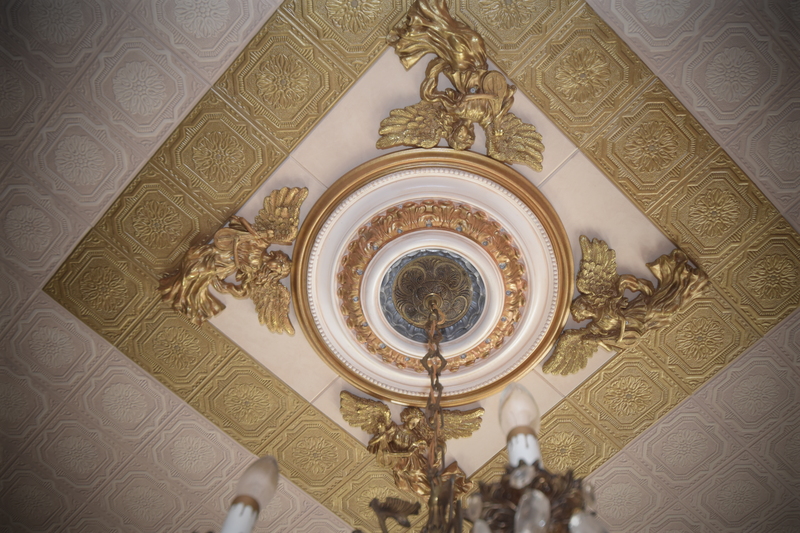 We have some beautiful and bizarre ceilings. 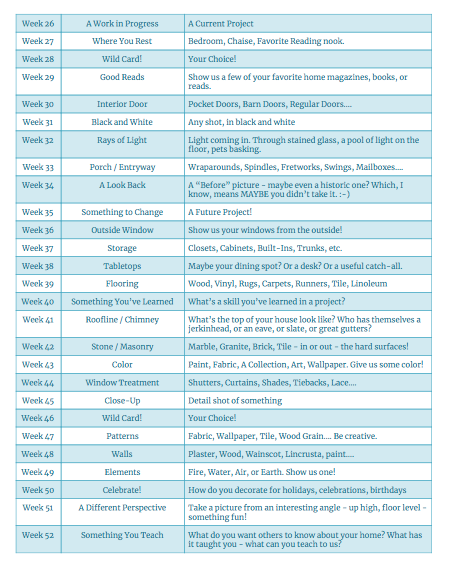 Nothing that’s interesting is original, but there is a lot that is in good shape! We also don’t have any original light fixtures left, but we’re trying to bring pieces in that feel like they belong. 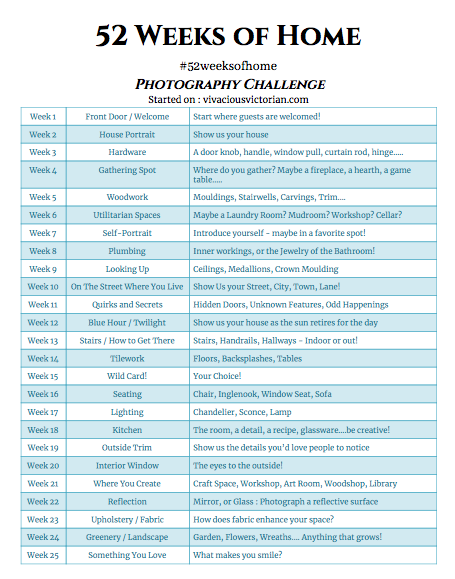 It is definitely a fun treasure hunt! The kitchen has some fun crystal! 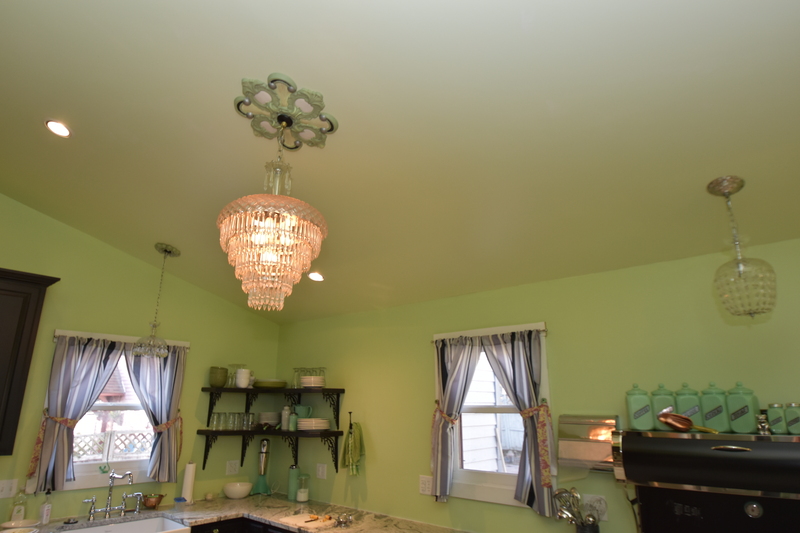 The ceiling and all the fixtures and medallions were put in when we designed and did the kitchen when we bought the house. Painting ceiling medallions is my favorite. The dining room was our favorite room when we bought the house, and it’s bursting with character. 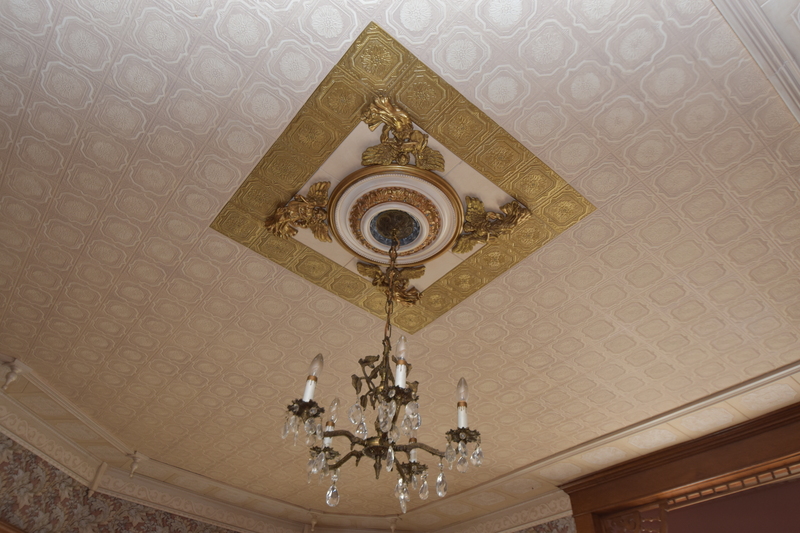 The ceiling is wallpapered, and it was done by the Beidlers in the 1980s. 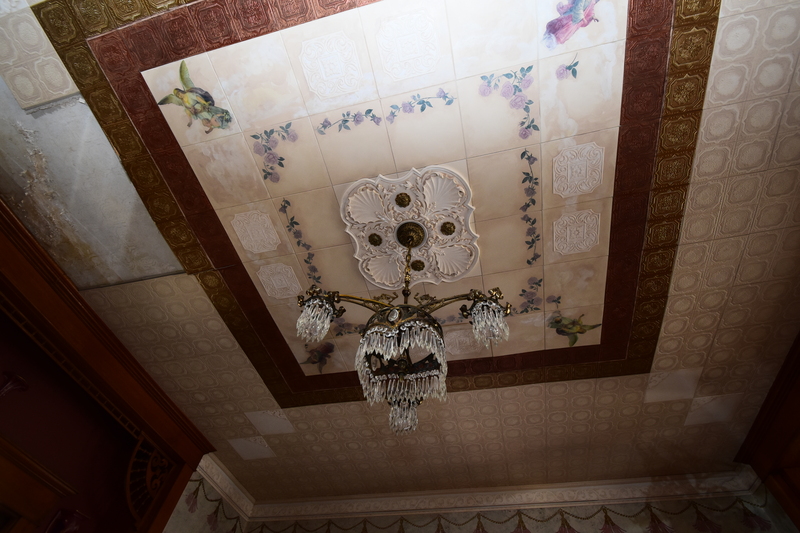 You can tell how much love and care went into painting the ceiling! 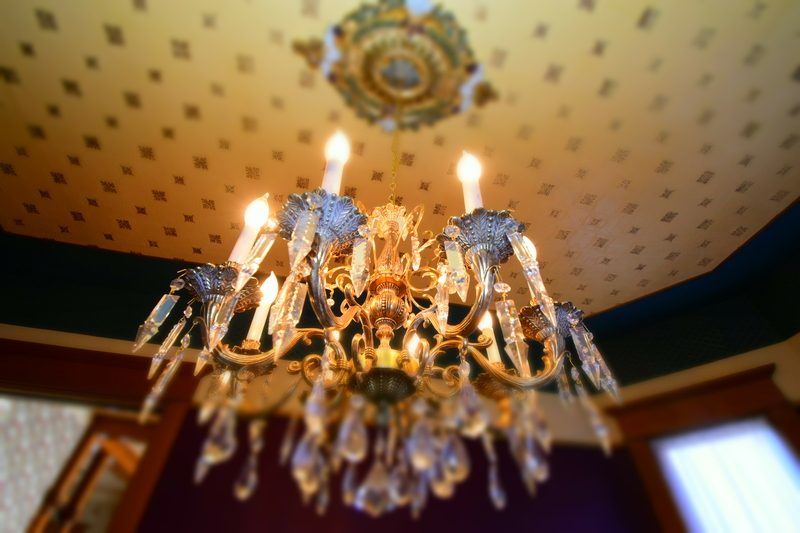 We switched out the chandelier, and I painted the medallion. The only other change to this room, is the plum color on the wall that I painted. It was the same ivory as the rest of the walls, and I wanted a little more color. 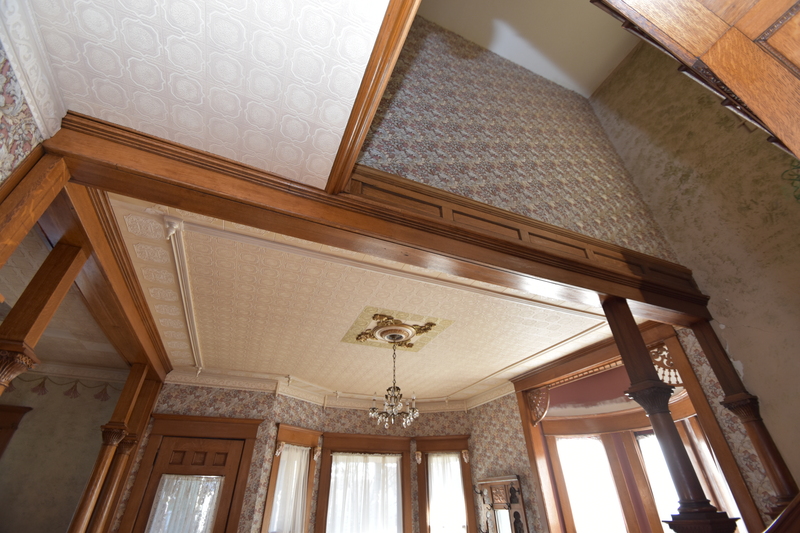 The Entrance Hall has the textured / molded ceilings that exist in several rooms in the house. While not original, they aren’t bad at all. We think they were added in the 1990s. 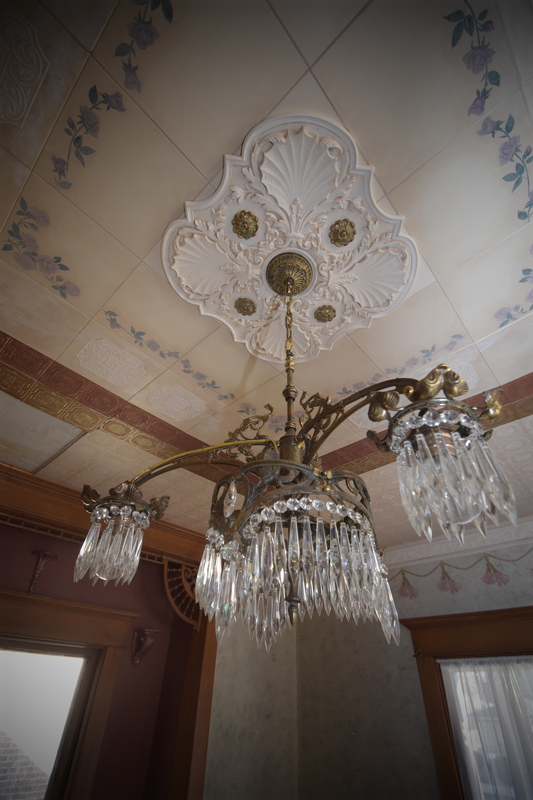 The chandelier is undersized, and the cherubs are pretty over-the-top – almost in a good way. Being able to see the screws through the stomachs of the cherubs is a bit unnerving. The cherubs might stay. 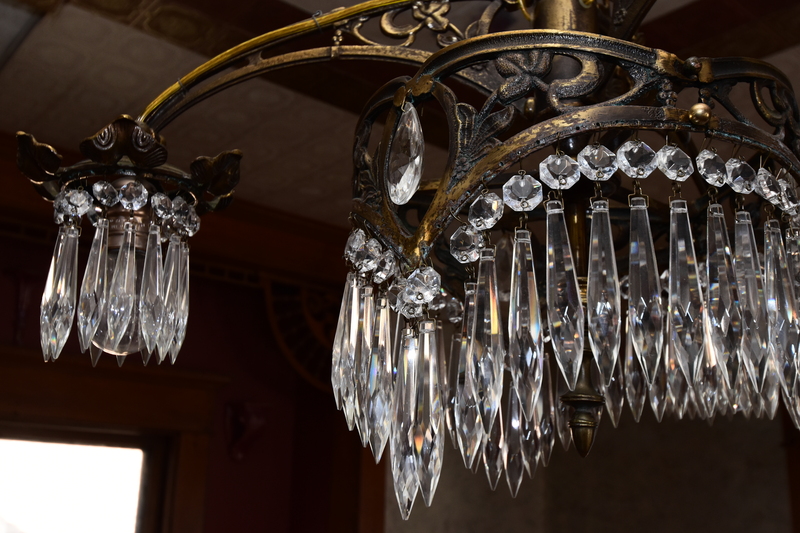 The chandelier will get switched out! 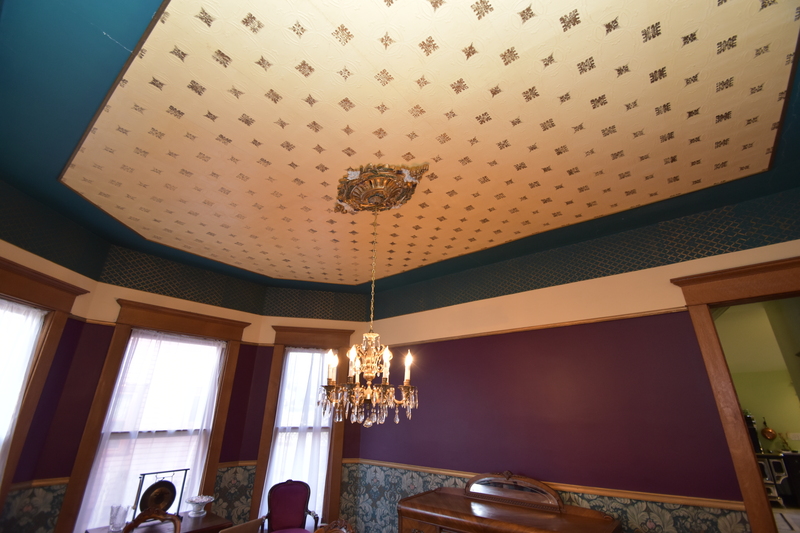 The same ceiling on the second floor has a totally different look when it’s painted (and not the cream factory finish). It looks way more original, and not so plastic. 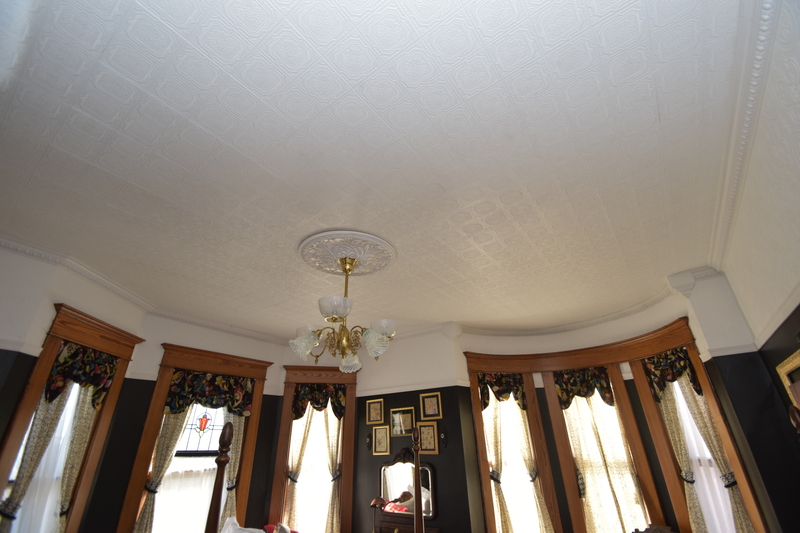 The parlor ceiling also has a lot of water damage, so it’s going to come down. 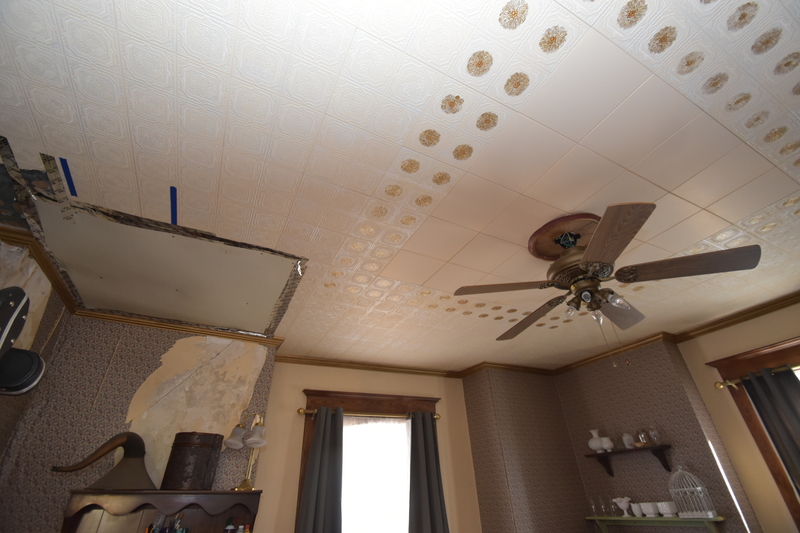 We’ll replace it with another embossed ceiling, and hopefully be able to salvage enough of this to repair the bedroom ceiling above. The flowers and angel decals were added in the 1990s. 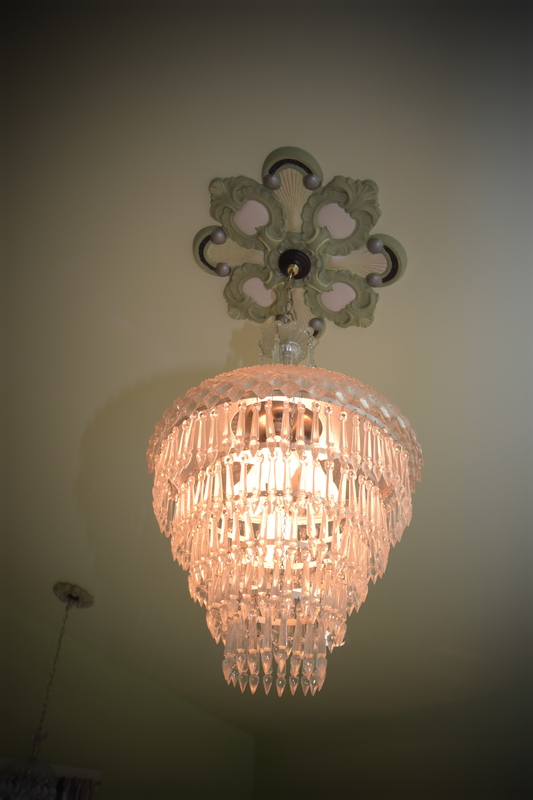 This is one of my favorite lighting fixtures we’ve added. 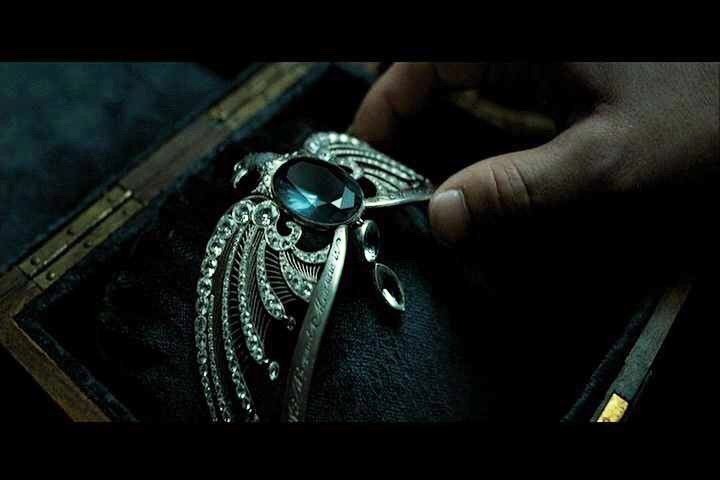 It reminds me of the “Lost Diadem of Ravenclaw.” Which, incidentally, is the house I have been sorted into on Pottermore. So it TOTALLY FITS! I mean, a little, right?